The three joint leading open race winners of 2019 all have a chance to seize top slot alone in what is the best weekend of racing in many months writes Floyd Amphlett. Seaglass Tiger goes for win number seven in the Ladbrokes Puppy Derby Final at Monmore on Saturday night. Two races later, Brigadier Bullet will start at very short odds to seize the initiative on behalf of the stayers. But before either have raced Droopys Gold could have joined them on the six winner mark with Goldies Hotspur also with a strong claim. 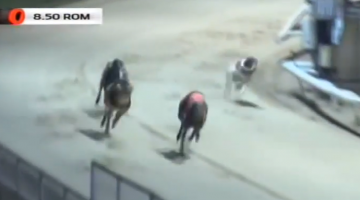 Swift Biscuit struggled to see out the 480 in the Puppy Derby, but he will be seeking his seventh win in a highly competitive Silver Salver at Central Park on Sunday. There are exciting clashes throughout. John Mullins’ pup takes on National Sprint winner Queen Anna, though the meeting also features a King Elvis/Troy Bella clash. A great meeting concludes with a re-match for the Racing Post Juvenile 1-2 (and possible Trainers Championship clash) between Seaglass Phantom and Ballymac Osby. Just to spice it up further are Produce Stakes winner Zenas Zeus and the prolific local Ballymac Gent. Sheffield’s televised Saturday night card features three quality semi finals of the RPGTV Steel City Cup, but also the fifth outing of the unbeaten Golden Jacket winner Stardom taking on Droopys Live. Look out too for Coolavanny Dylan seeking his sixth win of 2019. And everything kicks off on Friday with Quantum Leap and Shotgun Bullet in opposition in a 575m final that would not look out of place with a ‘Cat 1’ classification.